*Though the Braxton sisters are close, they often get in each other’s way. 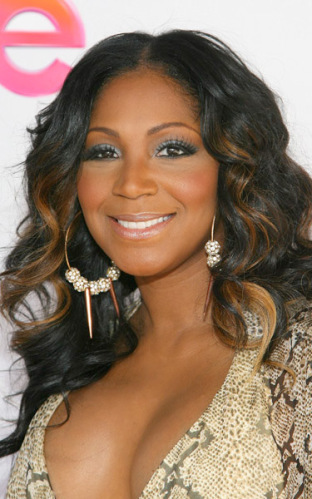 Trina Braxton admitted that she does love her family, even though they don’t always give good advice. She told Sister 2 Sister that her sisters gave some bad tips on what to do about her troubled marriage. Sister 2 Sister: You don’t have to tell me who said what, but what are some of the suggestions that [your relatives offered] that didn’t work? Because I want people who are going through this to know. I just want them to learn. If you guys are out there with your lives like this; it’s not for people just to beat you up and talk about you badly. Trina: Thank you, Auntie Jamie. But to answer your question, I think one of the horrible [pieces of advice] that my sisters gave me was to leave. I think that’s the worst advice you could give someone because, number one, you never know what you’ll do when you’re faced a situation. And number two, it’s easy to leave. It’s harder to stay and work it out. And if you feel it’s a situation worth saving the do your d@#ndest to save it. And that’s what we decided to do. And that’s what we’re gonna continue to do. Next ArticleWednesday Snaps: Magic & Cookie Johnson, Debra Lee Attend 'Being Mary Jane' Premiere - Look! all bets are off when the four “A”s have been committed in a relationship: Abuse, Addiction, Affair, and Abandonment. These are character and professional problems. Anything other than these issues a marriage needs to work to stay in it. But these core areas are bigger than just two people. Wow that woman is breathtaking just beautiful wow! !